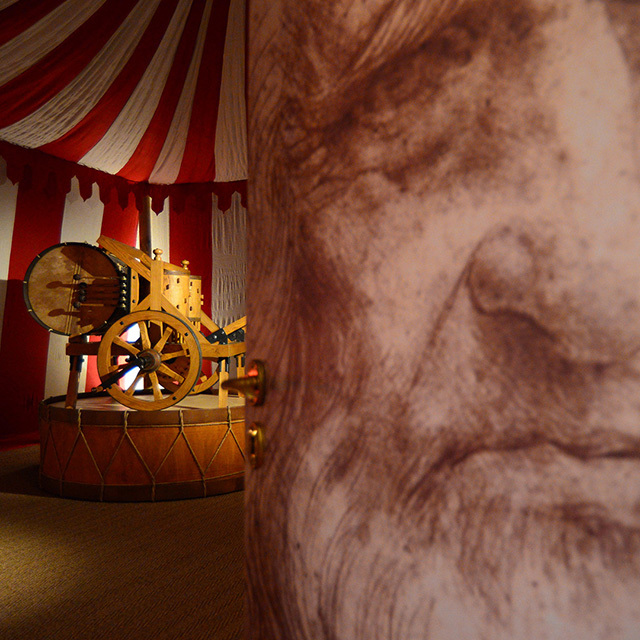 In the evocative military camp – a military war tent dating back to the end of the 1400 – there is the “Drum of Leonardo”, a musical machine designed by Leonardo da Vinci within the Atlantic Code. An instrument designed to replace the “tambourines” that gave the rhythm to the whole army. The reproduction of the machine was made by the Italian Musical Instrumentation Association, faithfully respecting the original design. All the mechanics – as it will then develop in so many instruments of mechanical music – start from the toothed cylinders that by means of the movement, act the little hammers producing the sound and the melody.